“Kyusho Jutsu“, the magical and mysterious arts from the past … oh yeah! But also victim of too much fanfare, charlatans, hocus pocus guys, written exams via Facebook or the internet for obtaining a Dan degree , self-taught ‘expert’ novices, thousands of pseudo books, … we all are witnesses of these horrific practices in our wonderful world of martial arts. But also in real life, just as our law enforcement officers, patrolling soldiers and security task forces, … we could have to manoeuvre one day on the ultra-thin line between an actual ‘hard-line’ self-defense and a ‘gentle’ self-preservation, in a world dominated by smartphones and social media. So, we thought that the evening before the “Guardians of Ryukyu 2018” seminar would be an ideal moment to host a unique seminar, focused on the real “Kyusho Jutsu” aspects, taught by internationally accredited professionals (!) and martial masters. Seminar is held from 19:00 till 22:00 o’clock. A unique occasion to acquire and exchange information, techniques and “things that work” from real international Kyusho Jutsu masters … or just in case you’ll ever need that “split second decisive reflex” to be able to walk back home safely. 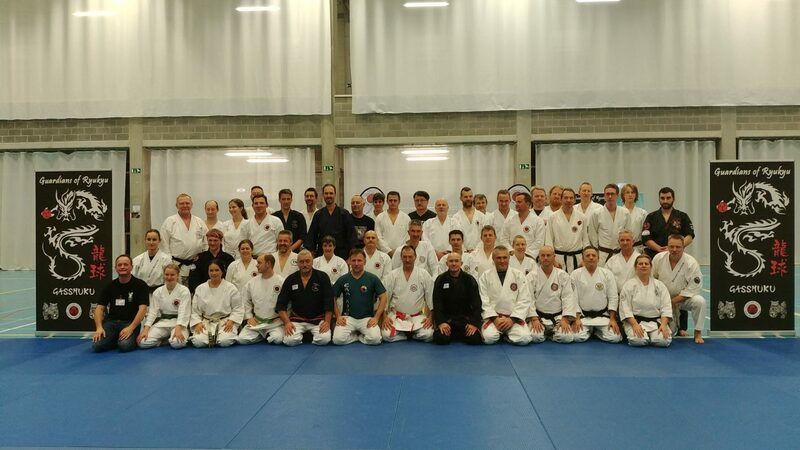 Nice to know: A lot of the GoR 2018 Sensei will also participate, so you can already get acquainted with them after the session. Tip: Check out our Guardians of Ryukyu Overview page in case of doubt. Copyright © 2019 Guardians of Ryukyu. All Rights Reserved.